CDBArticlesWhat does the Iron Divide in Suzhou’s Primary School Expose? This is CDB’s translation of an article originally published in Chinese by the Narada Foundation on the 28th of August (see the original here). The article discusses an incident that occurred last month and was widely reported in the Chinese media: in the city of Suzhou the playground of an elite primary school was divided by an iron barrier, with the purpose of separating the 800 of children of migrant workers who had been moved there from another school and the 400 other children already attending the school. Most of those 400 children were admitted due to their parents owning expensive apartments in the school district, some of which may have been bought exclusively for the purpose of gaining the children admission to the school. The practice of parents buying apartments in certain school districts so as to secure spots in fancy or “elite” schools for their children is common among the higher social classes in Chinese cities. The incident sparked controversy and debate regarding the social divide and the difficulty of integrating the children of migrant workers into the urban educational system. The city’s parents and government bodies stick to their positions, and the migrant children “swept along by the currents” suffer hostility and segregation. 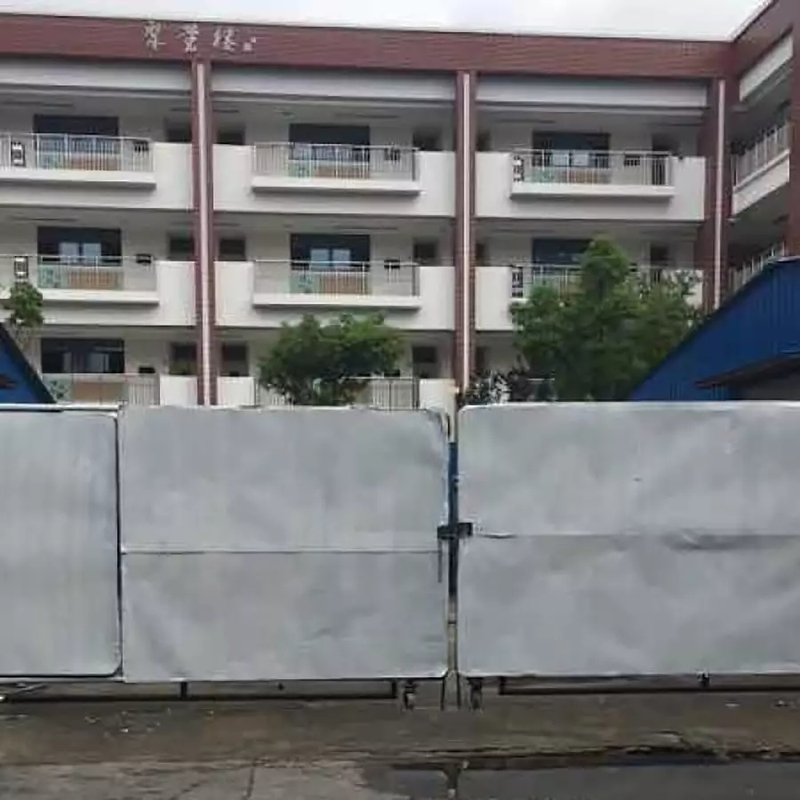 An iron sheet has been set up inside a school in Suzhou, separating two groups of school-kids. On the one side are the 400 junior school students of the hundred-year old elite Suzhou school, the Qin Xi Experimental Junior School. These are mostly local Suzhou students. On the other side are 800 children from the relocated Li Xin (“Newly Established”) primary school for the children or migrant workers. They are children who followed their parent migrant workers to Suzhou from all over the country. In the eyes of the parents in Suzhou, the Qin Xi Experimental School is a key school. 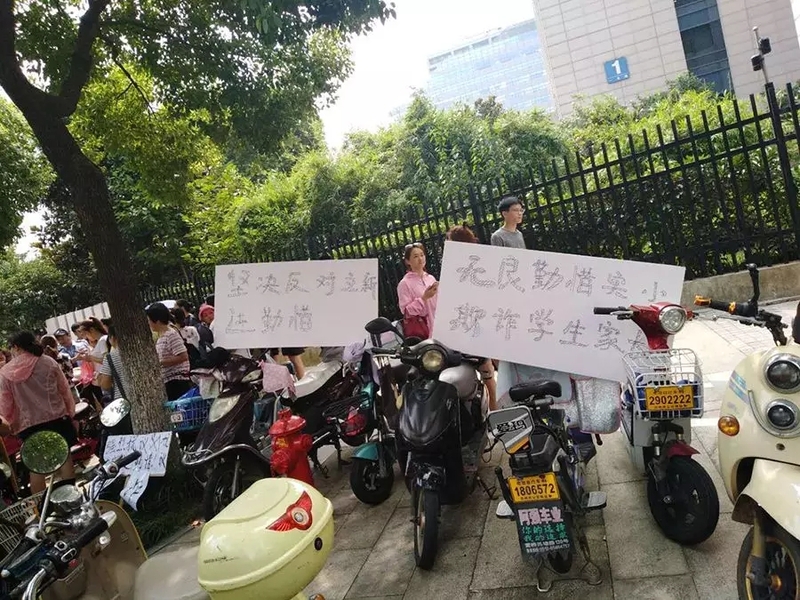 According to a surge of news reports, after this September the two schools will have to share a common campus, which has given rise to dissatisfaction from the parents of Qin Xi’s students. They believe that admitting migrant children will “disrupt this primary school’s previously strict tradition of ‘enrolling students according to the school district” (按学区招生), and allow non-school district students to take advantage of the public school’s resources”, and that “this is unfair to us” (parents who have bought a house in the school district). The newly established primary school is a school run for migrant workers’ children of all aptitudes. This kind of school has a name in the Zhejiang region, it is called a “food-market school” (菜场学校). A parent of one of this school’s children declared in an interview with the “Yangzi Evening News” that because the fees for privately-operated primary schools are much higher compared to publicly-run primary school, the situation with the new school building makes them worry about “whether the school fees will rise”. The Gu Su district educational committee stated that the shared campus is due to the Li Xin school’s original school building lease expiring, and the Qin Xi Experimental school is the only school site which meets the resettlement regulations. Setting up the corrugated iron gate was done in order to facilitate supervision, and will provide an exclusive teaching and activity space for the 800 resettled students. According to current media reports the Qin Xi Experimental School changed buildings in 2015, and inside the school grounds there are now some buildings left idle that are being borrowed for this purpose. At the moment there is no evidence that the shared campus will influence the future recruitment policies of the “key primary school”, and admitting migrant workers’ children is in keeping with the fairness in education which state policies advocate, so why are the parents dissatisfied? This iron sheet actually exposes a real class stratification over educational resources in the major cities and developed areas in which the migrants have converged, and the awkwardness over the difficulty to integrate the children of migrants into the cities. Contrary to what is claimed on paper, previously in Suzhou’s traditionally superior schools like the Qin Xi Experimental School the children of migrants would not meet the entry requirements. Suzhou is a city with a big influx of outsiders. In 2015, the size of the city’s floating population already exceeded the registered population. One research paper from Northeast Normal University shows that because the superior economic development of Suzhou attracts large groups of external labourers and a huge number of migrant children, the city’s compulsory education system is facing an unprecedented challenge. In 2016, the city started to copy the Pearl River Delta region in implementing state-run schools and “points-based school admissions”, but this policy essentially ended up “picking the best and rejecting the worst” from the migrant population. 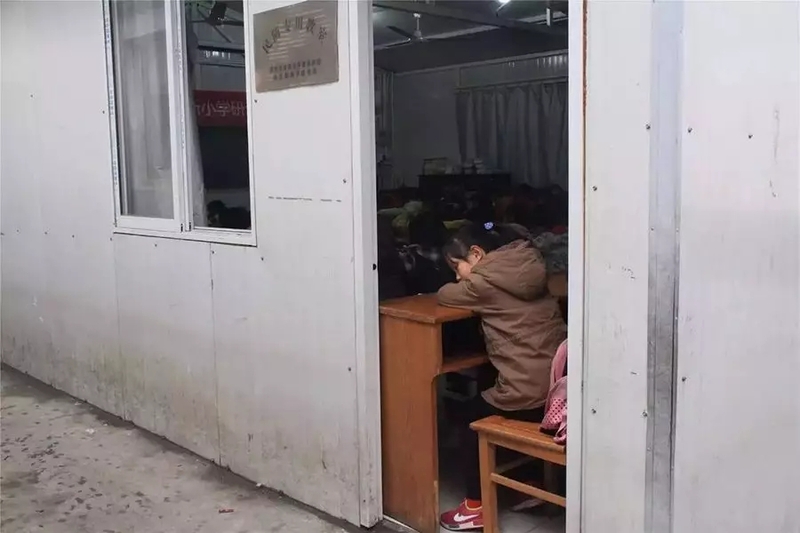 Because they could not achieve the “points-based school admission” requirements, the additional schools for migrant children shut down one after the other, and in recent years many of Suzhou’s migrant children have had to return to their native villages to attend school. But this rebellious mood of the elite school parents, which has an insufficient factual basis, exposes something else – in their eyes, there is a distinction between superior and inferior compulsory education, and for the price of a house in the school district, what they really want to defend is what lies behind the opportunity for a school place which that house costing 30,000 Yuan per square metre ensures. In fact, the background to this issue lies in the advantages that government-administered key primary schools enjoy. These advantages include better qualified teachers, better management and easier access to higher education opportunities. The accumulation of these advantages is not only a result of the historical tradition of prestigious schools, but it has also emerged from the system of constructing key primary schools that came after the establishment of the People’s Republic. Research has shown that since the beginning of the 50s and 60s, China began to promote the focused construction of a series of primary and middle schools which received preferential investment from government departments. This system, combined with the step-by-step economic development plans implemented by the Reform and Opening Up policy, has led to a gradually increasing disparity in educational quality between regions, cities and areas. What’s more, after the Reform and Opening Up the upper class began to focus on key schools when selecting a school. From the beginning of the 1990s, China began to manage the education offered in these ‘chosen schools.’ Researchers discovered that in the 16 years between 1995 and 2010, altogether 16 orders were published banning the practice of choosing schools – however it was still difficult to suppress this tendency. A research report published by the 21st Century Education Research Institute showed that in 2010 there were as many as 15 modes of middle school enrolment (“小升初”) in the 8 urban districts of Beijing. These include back-door entry (条子生), cooperation with work units to increase chances (共建生) and payment of additional fees because of a non-local residence permit or low grades (赞助费). The report points out that the upper classes will take advantage of privileges, rent-seeking and other unconventional ways to enjoy “high-quality education opportunities”. By 2013, the 3rd Plenum of the 18th Meeting of the CPC Central Committee announced that in order to promote the balanced distribution of educational resources, they would implement admission to schools free from exams, unite primary and middle schools and require admissions to be from within the same district. The following year the educational department published a document in response, and put forward a target of 100% of primary schools in all the counties of 19 big cities entering this system by 2015. This is what the aforementioned parents were referring to when they spoke about key schools ‘enrolling students according to the school district’. If we look at it from the point of view of the parents choosing the schools, the purchase of housing in a good school district has actually become the only remaining available channel for choosing a school, since the policy governing school selection has tightened and channels such as back-door entry and extra payments have continued to be blocked. Since 2015, house prices have continued to rise around key schools in China. Compared with other methods of selecting a school, purchasing housing is a direct and high-value way of demonstrating that the quality degrees from these key schools have a market price. In fact, similar incidents of so-called “school-housing” ‘rights protection’ are not a rare occurrence. The author [of this piece] discovered in interviews this year that each spring, when the enrolment policy is promulgated, and each autumn when it is time to actually enrol, conflicts continually arise due to the redrawing of boundaries of some school districts, with every party sticking to its own version. This reveals that there are all kinds of strange situations brought about by the link between the markets for China’s public education and the real estate market. This is contrary to the balance and fairness advocated by the compulsory education policy. But despite the educational departments’ numerous attempts to balance things by dividing up the school districts and rotating the teachers of prominent school, the parents do not seem to be buying it. Their impulse to choose schools is extremely difficult to mute. The accumulation of advantages in key primary schools also continues to follow the Matthew effect, growing bigger and bigger every year. What is the crux of this tendency to try and choose a school? A parent from Zhejiang spilled out his heart to the author [of this piece], saying that actually you choose a school in order to choose your child’s classmates. A number of scholars have expressed similar views. Whether it is Beijing’s key primary schools with soaring housing prices in the surrounding school districts, or Shanghai’s private primary schools for which parents empty their pockets wishing to gain entry, these ‘key schools’ do effectively have a selecting effect. They select the parents who invest the most in their children’s education. This in turn groups together the supply of students, because these families will also invest a lot in extra-curricular education. There are scholars that believe that for all these reasons, there are going to be more and more students from upper class families enrolling at these key schools, and that one of the resulting costs of this gap in educational quality will be aggravated social stratification. Combined with all of the above, if we look again at the parents’ comments in the media about experimental primary schools, their motives become clearer. The opportunity to enrol in one of these key primary schools has come at the cost of spending vast sums of money, and has allowed them to screen out their children’s classmates. Given that the educational department forced in 800 migrant children, it is unsurprising that they should have an emotional reaction. There are a variety of points that need further attention. This year, the Lixin elementary school’s student population was only made up of third to sixth graders, indicating that the elementary school has not recruited any new students in the past two years. The media needs to look a little deeper into why this gap in recruitment has occurred. Also, why is the transfer to another school campus happening now? The Suzhou People’s Government made a public statement claiming that the transfer is due to the fact that the previous campus did not meet the necessary safety standards, and that the property lease ended on June 30th, 2017. The details are vague. For example, how did a school campus that did not meet the proper safety standards get the qualifications to open a school to begin with? The Lixin elementary school has previously had three other locations. Previous online reports show that one of these locations had makeshift classrooms packed with tables and chairs, with students sitting all the way until the door of the classroom. What this background reflects is the increasingly difficult issue of educating the children of Suzhou’s migrant population. According to a study by Northeast Normal University, in 2012 Suzhou public schools began requiring parents and guardians to have “a stable place of residence, stable work and a stable income”. In addition to these “three stabilities,” some schools even required migrants to provide a building property ownership certificate and their original hukou. These standards became even stricter in 2016. That year Suzhou began to follow the Pearl River Delta’s “point-based admission” policy. The point system is based on a variety of indicators, such as the academic credentials of the migrants, their period of service, their length of residence, and the number of years they have been insured. The children can then attend different levels of public schooling based on this ranking system. In educational circles this policy has been interpreted as a policy of “picking out the best and excluding the worst”. The Northeast Normal University study concludes that “the point index, weights and marks favour high achievers, and neglect the majority of ordinary migrant workers. The integrated school admissions model is unfair and does not allow the children of migrants equal access to education”. They found that 85.28% of the migrant population in Suzhou finish their education in middle school, and never progress to high school. The researchers calculated that for an ordinary migrant labourer to have the same number of points as a migrant with a master’s degree, they would have to “pay into urban employee insurance for at least three years”, “live in the city for at least six consecutive years”, and “own at least 250 m² of property”. In large cities where the “points-based school admissions” have been implemented, the children of migrant workers are facing hidden obstacles. The Northeast Normal University study found that the admission of these migrant workers’ children depends not only on their point ranking, but also on how many places public schools can give to them. For example, in Suzhou’s Gaoxin district the traditionally high-performing schools did not award any places to migrant children. In 2016 Gaoxin district opened 20 mid-ranking schools for migrant children, including seven middle schools and 13 elementary schools. In these mid-ranking schools only 1,183 places were given to the children of migrants. At the end of 2015, Gaoxin district had 33 middle and elementary schools, which altogether had 51,500 students and a graduating class of 8,600. In 2016, migrant workers composed 50.23% of Gaoxin district’s population. The disparity in supply and demand is clear. Additionally, the schools that accept migrant children are mostly located in smaller villages and towns. If a migrant child fails to enter a public school through the point system they cannot try again, even if their score changes. Thus, if their original score does not allow them to enter a public school, their only options are to attend a school for migrant children or return to their hometowns to attend school. However, in recent years the first option has become increasingly limited. Suzhou has become like Beijing and Shanghai in that the number of schools for migrant children has been steadily decreasing due to urban development and other reasons. The author conducted interviews at a vegetable market near an overpass in Guangdu. With the closure of two nearby schools for migrant children, and their inability to meet the standards of the “points-based admission”, the vegetable sellers were increasingly sending their children back to their hometowns to seek an education. The attitudes of the Qin Xi Experimental School’s parents are not unique. In visits to other developed coastal areas, the author discovered that schools that faced an influx of migrant children were often seen to be inferior by local residents, so local students gradually stop going. Regarding the concerns that the Qin Xi Experimental School’s parents shared that admitting migrant children would affect the quality of future school enrolments, what was left unsaid is that this may also affect the property prices of the school district homes that they had purchased. A study by the scholar Zeng Xiaodong on the subject of selecting schools can shed light upon this topic. Zeng Xiaodong believes the reason for the frequent failures of the policy of admitting students who live locally is due to differences in motivation between the three key stakeholder groups – parents, schools and the government. Schools lean towards an elite educational model of prioritizing the attraction of the best and the brightest, parents want to give their children “competitive advantages”, while the educational departments have public interest as a key consideration. All parties maintain their perspectives, and incorporate their interests into the policies in question. The Qin Xi Experimental School’s parents’ complaints about “migrant children taking up precious school resources without paying a cent” are fundamentally flawed. The crux of the problem lies in the contradictory allocation of public education resources in China. On the demand side, parents spend great resources to obtain the chance to enter an elite school, but on the supply side, public schools are built with public finances. More specifically, the county-level compulsory education supervisory departments make use of taxes from their districts to build these schools. Since they are a public resource, why can’t migrant children whose parents also pay taxes use these school buildings? Since they are a public resource, it is reasonable for the educational departments to use school buildings left idle to accommodate migrant children. The scholar Zhang Qi once explained in an open article that because entry into elite schools is intricately linked with elite school-district homes, the result is that people who can afford to buy homes in elite school-districts enjoy higher quality educational resources, while those who can’t afford homes in elite school-districts must make do with ordinary educational resources. The resulting situation is that higher quality educational resources (elite schools) are on the one hand built by taxpayers’ money, but on the other hand are in reality only available to the wealthy. This is really a case of ‘robbing the poor and giving to the rich’. Similar disputes demonstrate the same rationale. Parents who spend huge sums of money to purchase school-district homes appeal to the effects of market forces with public service providers, but the cost of selecting a school is not the same as paying a huge tuition fee to the school. Public compulsory education does not charge tuition fees. In one view, this resource mismatch has effectively handed over investments in education to the landlord or real estate developer. However, private schools for migrant children charge fees. The previously mentioned research by Northeast Normal University points out that because schools for migrant children need to charge entrance fees, and the state lacks compensation schemes for them, the already under-privileged migrant children are rendered helpless and isolated. In addition, the quality of facilities and teachers is also lower, thereby affecting the quality of their education. Compared with Beijing and other places, Suzhou’s Department of Prices previously adjusted the tuition fees of schools for migrant children. 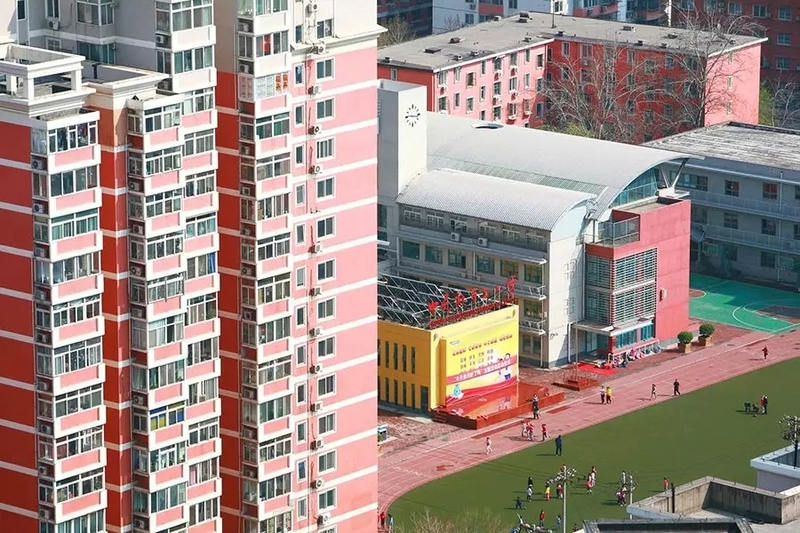 The study reveals that the tuition fees for migrant children’s schools in the city’s high-tech zone are generally 1,900 yuan per semester, and each student can also receive a public subsidy of 650 yuan. However, migrant children’s schools are increasingly unable to afford their level of operations, as their venues and school rental fees, teachers’ salaries and utility costs continue to rise. What is the real question to ask the departments of education? It is whether they have made due efforts to support the education of migrant children. Why was the Lixin Primary School not relocated after its lease expired? Is it related to a similar case reported in the media, where land was reclaimed to give way to urban development, or to control population growth? Can the Lixin Primary School continue to exist as an administrative body? After these children have been relocated, will Suzhou’s future children be taken care of? What of the shortfall in school places? According to a report, as of the 1st of October 2015 the total number of migrants in China reached 247 million, meaning 1 out of 6 people are migrants. The children of these migrants, the migrant children and the left-behind children, have been called the “100 million children who have been helplessly swept along by social torrents”. How do we ensure these helplessly swept-along children endure less animosity, segregation, and even expulsions?